Our shop was in need of a storage solution. Every type of shelving that we tried seemed to add to the clutter and take up much needed wall space. We found that we could maintain the storage above and utilize the room below the racking by creating a mobile aisle. Sick of losing your tools? With Levrack, you’ll get 24 feet of shelf space in just 12 feet of wall space. All the shelving is adjustable and equipped with pegboard backing. Ben Franklin said it best when he said you should have, “a place for everything and everything in its place.” That place is Levrack. 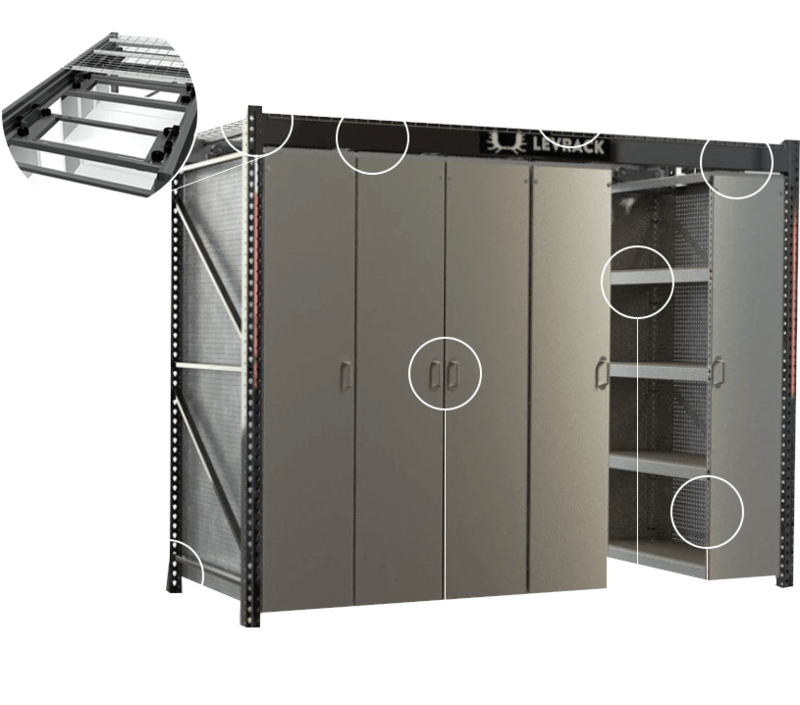 All Levrack units are made right here in the USA with industrial grade steel. They’ll hold over three tons of equipment, and, best of all, there’s no motorized parts or complex pieces to assemble. Our simple, hard-working design can withstand the wear and tear of any project you throw at it.